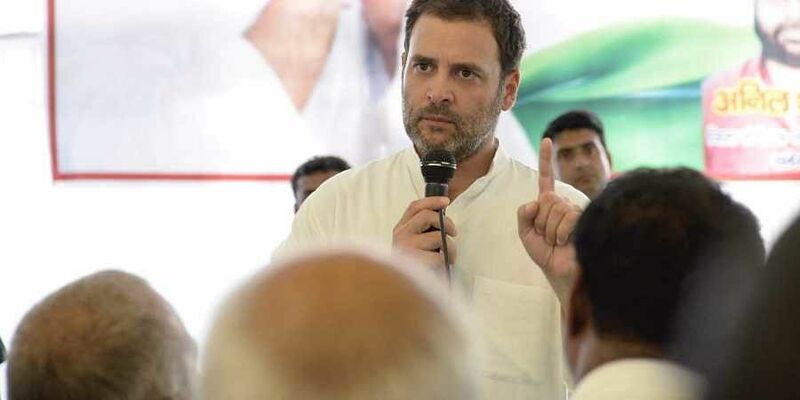 Sources said Rahul had a one-on-one meeting with around 40 state leaders, including MLAs and MPs, to understand the issues bothering the West Bengal unit. NEW DELHI: Sharp divisions in the West Bengal unit of the Congress on joining hands with the TMC or the CPI-M to counter the BJP ahead of the 2019 Lok Sabha polls reached the doorstep of party chief Rahul Gandhi, who heard out the state leaders on Friday. Sources said Rahul had a one-on-one meeting with around 40 state leaders, including MLAs and MPs, to understand the issues bothering the West Bengal unit.While the AICC managers are open to an alliance with the TMC, state unit chief Adhir Ranjan Chowdhury is dead opposed to such a pact. “The TMC has been indirectly helping the BJP grow in the state,” he said. Ahead of the 2016 Assembly polls, which saw Chief Minister Mamata Banerjee retain power, the Congress had an informal understanding with the CPI-M but it did not help either party. Over the past few months, 12 of 44 disgruntled Congress lawmakers have joined the TMC, indicating growing discontent in the state unit. Fearing an exodus by the remaining lawmakers, Rahul summoned them to Delhi before taking a final view. “We need to join hands with the TMC to counter the BJP. Going with the CPI-M could be suicidal,” a Congress MLA said. “Rahulji heard us and will take a decision accordingly,” he said. As Rahul tries to play the anchor of a national anti-Modi opposition, Mamata too has been eyeing that role and has been hyperactive in attacking the PM and the BJP in the state and inside Parliament. The TMC has also been sharing the stage with the Congress and the CPI-M during the past sessions for the sake of Opposition unity. The TMC had swept the 2014 Lok Sabha polls, winning 34 of the 42 seats, against four for the Congress, two for CPI-M and two for the BJP.